Driving for dollars is regarded by both new and experienced investors as the best lead list. Why? Because driving for dollars produces a unique list that only you will have. 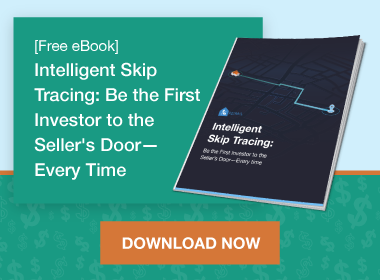 Houses on your driving for dollars list will only receive mail from you, so you’re more likely to get a call back and you won’t have to bid against other investors. Most people are just too lazy to actually drive for dollars though, so if you want a way to beat 99% of your competition, you should drive for dollars! You want to find “roughs in the diamond.” In other words, you’re looking for the worst house in the better neighborhoods. If you don’t know where to start, go to a local real estate investing meetup and ask people where they like to buy properties. Listen to where they like to buy. That’s where you want to drive for dollars. I made an app that shows you the property owner instantly. The app also will send out a postcard to the owner for you saying you want to buy their house. You can get a 14 day free trial of the app and test it out here. Once you’ve done your first deal, you can do more deals by leveraging your time and having others drive for you. There are people out there driving around for their non-real estate jobs already. You can have them send you deals they see while they’re already out! One of the most frustrating parts of building a team is tracking who submits each property and then accurately paying the DealFinder when you close on their deal. DealMachine makes it easy for everyone on your team to have a unique log in and easily submit properties. You can then approve deals for marketing to be sent out. Your team members can’t spend your money by sending marketing themselves, but they can see when you approve their deals! That’ll keep them motivated to find more deals because they can see you’re following up. One of the fastest, lowest cost, and effective forms of marketing is ringless voicemail. Everyone checks their voicemail! To send ringless voicemails to your DealMachine leads, head over to the settings within the DealMachine App and click export phone numbers. 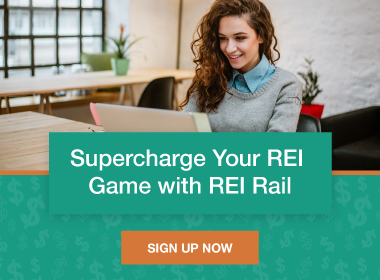 Upload that spreadsheet into your REI Rail account, record a voicemail, and then send out your voicemails! Start your 14 day trial of DealMachine here. We recommend adding at least 200 properties and then sending your first voicemail drop. We recommend 200 because that’s what we’ve observed from our 4000+ DealMachine members as a good sample size to get a deal. Drop your first round of voicemails and don’t forget to re-market to everyone again a couple weeks later. Get your phone ready to help solve problems and make money.